Is there a community â€˜heart’ that has a variety of different uses and activities during the day and night? Is there a mix of activities that creates a lively community and encourages social interaction? Are there places for people to gather with other people around them? Does the place encourage people to socialise? For example, seating and viewing areas, places to eat or drink, and places to play in, explore or relax in? Does the place cater for events with large gatherings (if relevant)? Is there a focus on street activity with places such as restaurants, cafes and outdoor dining areas? Is there a wide range of entertainment options? For example markets, theatres and nightlife. Is a healthy lifestyle, physical activity and social interaction promoted? Is there a variety of outdoor recreational places? For example parks, playgrounds, bicycle paths, sports fields, and swimming pools. Are there a range of children’s play areas that cater for different ages, abilities, weather and seasons? Does it provide a fun, enjoyable, high quality experience? Is there an events program for the local community and to attract visitors? Are there temporary or permanent artworks in public places that are interesting, engaging or reflect the local character and culture? Is it the type of place where people will want to bring their friends and relatives, to see and use the place, and point to its features with pride? Creative Cities International, The Vitality Index. A policy providing a decision-making framework and principles for making Melbourne a safe, vibrant and diverse city during the day and at night (City of Melbourne, 2010). A presentation highlighting the links between physical activity, planning, urban design and obesity in children (Whitelegg, J, 2006, National Heart Foundation of Australia). A report outlining principles for contributing to strong, inclusive and resilient communities (Australian Social Inclusion Board, 2009). An independent, not-for-profit organisation advocating for and developing creativity in Western Australia. A $7million project aiming to revitalise the economic, social and cultural development of Darwin city through urban design initiatives (Northern Territory Government). A vision for making Sydney more vibrant by day and by night (City of Sydney). A blog for sharing ideas about how to make Adelaide a more vibrant city (Integrated Design Commission of South Australia). 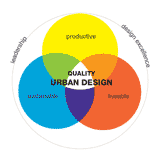 A document helping planners and others to make the case for good design by providing guidance on design analysis and information on best practice urban design (The Design Council CABE). A cultural impact study modelling the human experience of the city at its heart by ranking and assessing qualitative factors with the same rigour as quantitative ones (Creative Cities International). Project for Public Places – What makes a great public place? An international resource providing information and case studies on making great public places (Project for Public Spaces).